Matthew received his Master’s in Public Health from University of Washington, where he also completed the Post-Bachelor Fellowship at the Institute for Health Metrics and Evaluation (IHME). Upon completion of his MPH, Matthew’s background in program evaluation and econometric analysis enabled him to consult for the global health policy teams and global health program monitoring systems for think-tanks, foundations and implementing organizations. Before returning to University of Washington, Mr. Schneider completed a two year fellowship with the Global Health Fellows Program as a Technical Advisor with the United States Agency for International Development (USAID). As a technical advisor, Matthew collected, analyzed, and used costing data to improve the efficiency of the US Government’s HIV programs in Africa, Asia, the Caribbean, and Eastern Europe. 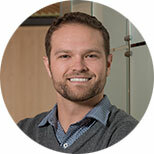 Completing his doctorate at the University of Washington, Matthew continues to follow his interest in the ability to improve health systems through allocative efficiencies and measuring the impact of health systems strengthening programs as a Research Scientist with IHME. Murray CJL, Anderson B, Burstein R, Leach-Kemon K, Schneider M, Tardif A, Zhang R. Development assistance for health: trends and prospects. The Lancet. 2011; doi:10.1016/S0140-6736(10)62356-2. Lu C, Schneider MT, Gubbins P, Leach-Kemon K, Jamison D, Murray CJL. Public financing of health in developing countries: a cross-national systematic analysis. The Lancet. 2010 Apr 17; 375:1375–1387.